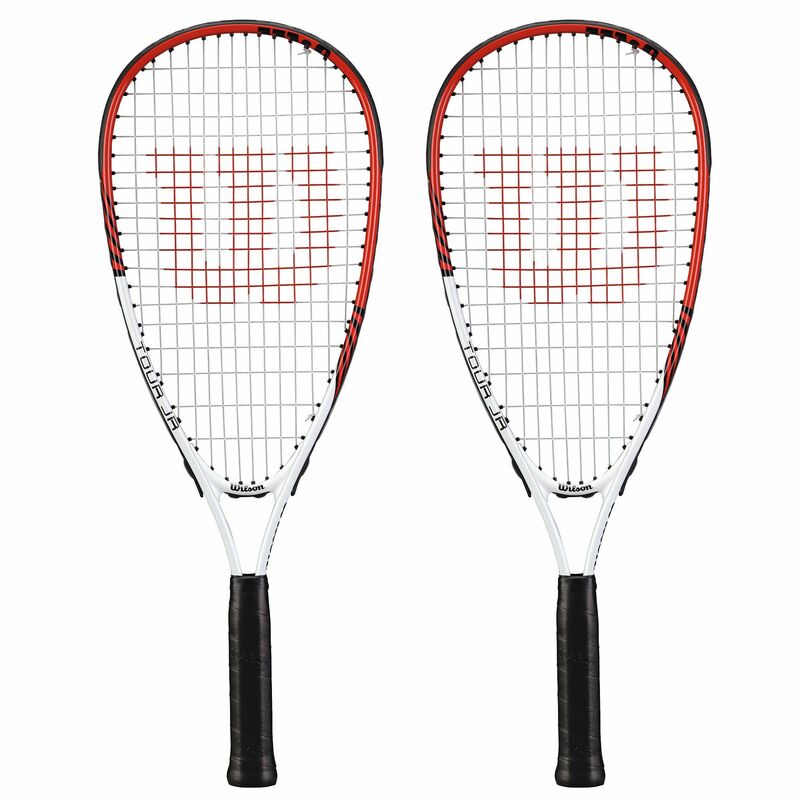 The Wilson Tour Pro Junior pack comprises of two squash rackets designed for children aged 4-10 and fitted with a smaller grip suitable for a junior hand. The rackets have a friendly junior length of 22” (55.9cm) and a full size head of 74in2 (477cm2) that provides children with confidence and helps generate more power on every shot. These aluminium frames weigh 160g (5.6oz) and are head light balanced to be easier to manoeuvre by junior players. The rackets are equipped with an open 14 x 19 string pattern ensuring more power and spin. They are supplied factory strung. 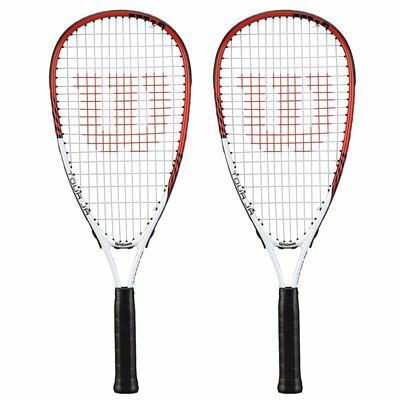 for submitting product review about Wilson Tour Pro Junior Squash Racket Double Pack.